Lisbon Lisbon! I must admit I had low expectations for you. I don’t know if it was because it you weren’t hyped up like Algarve or if it was because of your love for Cod (which I absolutely hate) – either way, my expectations were very low. But now that I’ve gone for myself, I can tell you is that I WAS WRONG and this city is AMAZING! It’s definitely one of Europe’s “hidden gems” and now I know why everyone is trying to keep it their little secret. I had such a great time in this beautiful city that I can no longer keep it a secret and must share with the masses! 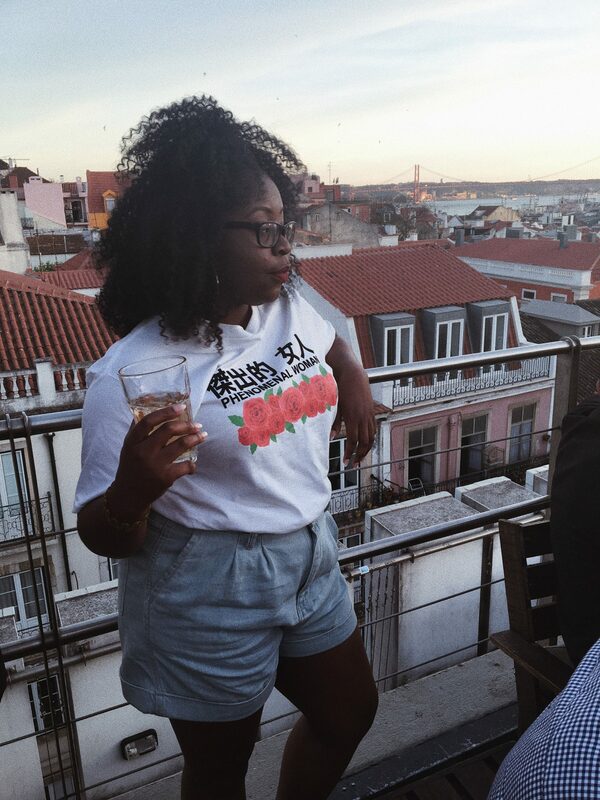 There are so many things to do in Lisbon, from admiring their remarkable blue-tiled walls, to gobbling down traditional mouth-watering dishes, learning about the country’s dramatic history and seeing vibrant street art – it was an experience I will never forget. 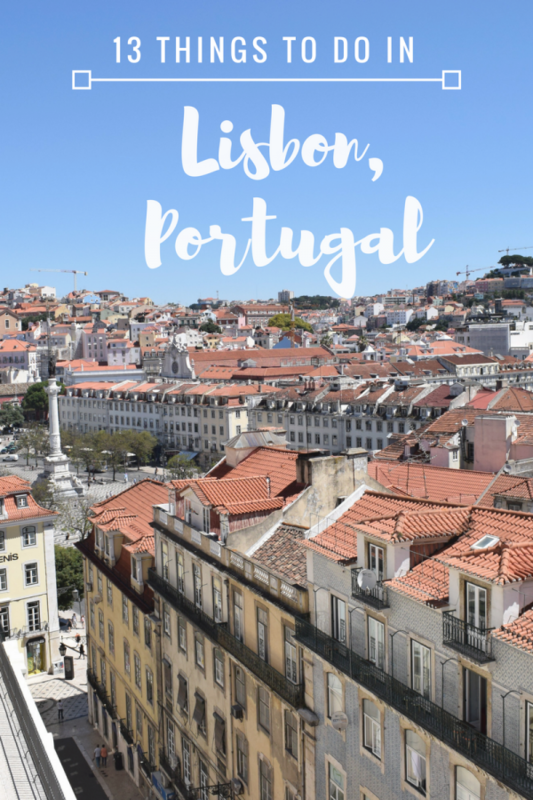 If you’re looking to enjoy this beautiful European city as much as I did, read on and I will share my favourite things to do in Lisbon. 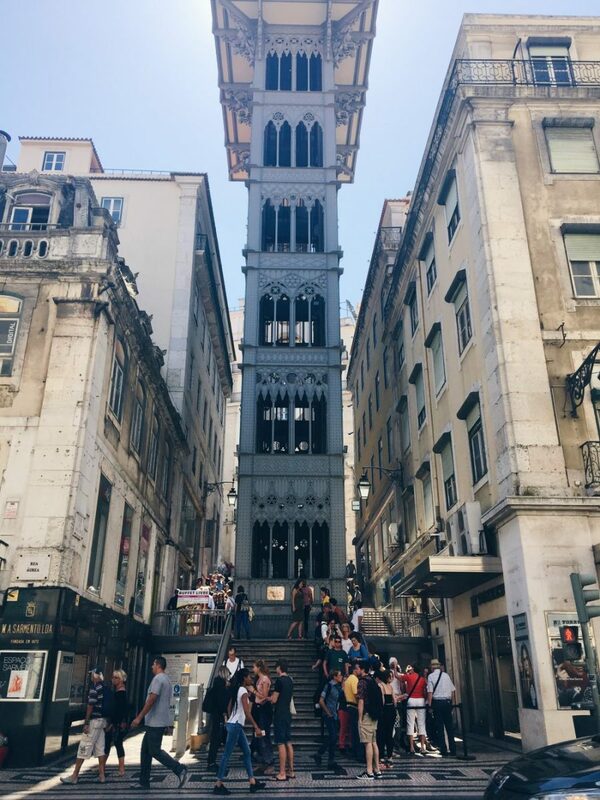 I also recommend a day or even maybe a couple hours to ditch your itinerary and just get lost in the cobbled streets of Lisbon and discover incredible things. (Rihanna vocals) We all know, this is what we came for!!! Eating a Pastel de Nata (Portuguese Custard tart) should be first on your plan of action! Contrary to popular beliefs that ‘Pasteis de Belem’ sell the best Pastel de Nata’s – in my own opinion, Manteigaria is where you can find the best Pastel de Nata’s in Lisbon. If you LOVE the famous Portuguese blue tiles (Azulejos), I highly recommend that you visit The National Azulejos Museum. This 3-storey museum is home to a variety of these beautiful mosaic tiles dating back to the 16th century. Bordalo II artwork reminds me of the saying “one man’s trash is another man’s treasure” – he makes trash his treasure and art. 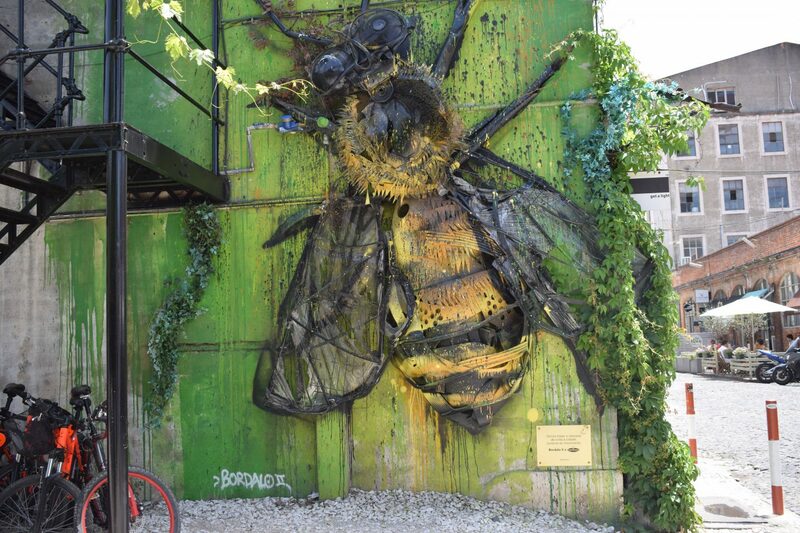 Bordalo II creates art out of waste and unused materials due to production of waste and pollution being at its highest! I stumbled across his “Trash Animals” series in Belem and LX Factory, where he created 3D animals out of materials found in wastelands and abandoned factories! Igreja de Sao Roque (Church of Saint Roch) is the most beautiful and exquisite church my eyes have seen! 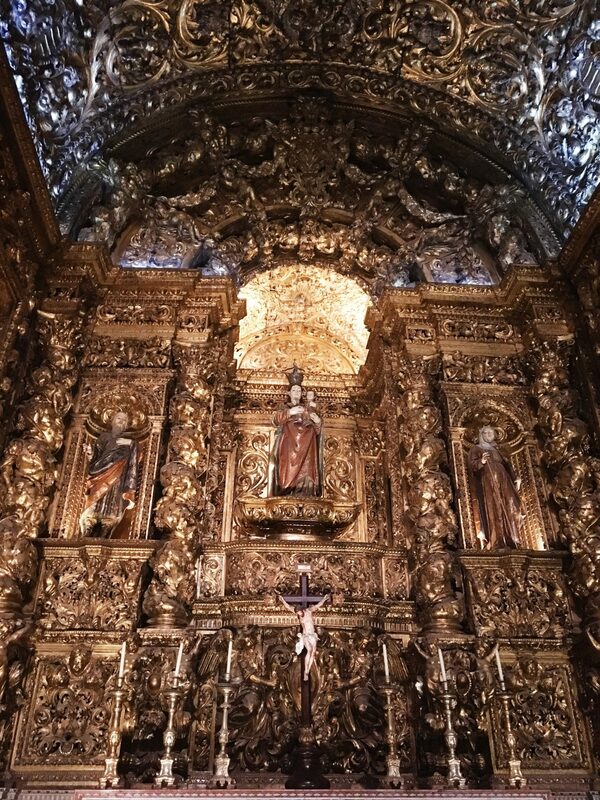 The interior design is so intricate and the mini chapels on the side of the church are laced in gold. There is no entrance fee for the church, so no need to break the bank to see this beauty! Belem is a beautiful district in Lisbon which gave me Portuguese, San-Fran, and Brazilian vibes all in one. If you want to see a smaller version of Christ the Redeemer, a spitting image of The Golden Gate Bridge as well as Portuguese monuments – Belem is the place! Belem is the home to many things, such as the Mosteiro dos Jeronimos (Jerónimos Monastery), Torre de Belem (Belem Tower), Padrão dos Descobrimentos and it’s incredible panoramic view across the Tagus River where you can see the 25 de Abril Bridge “golden gate bridge of Lisbon” and the mini Christ the Redeemer statue. 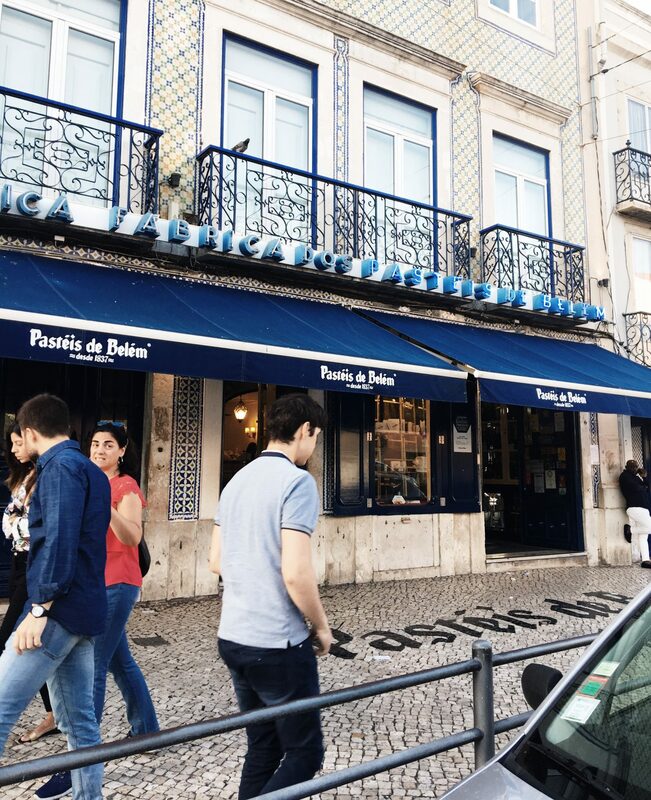 Belem is also known for their famous egg-tarts sold at “Pasteis de Belem” which is said to be the best place for them as they were the original founders of the dessert. 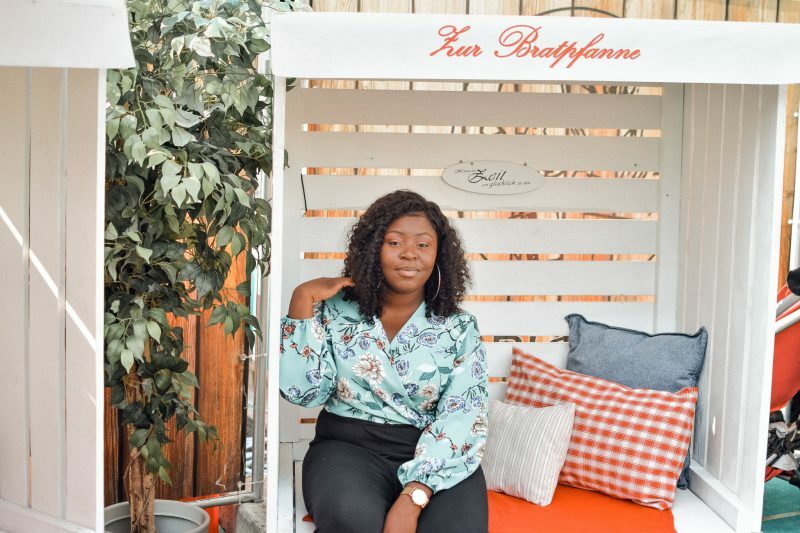 Park Rooftop Bar gave me serious summer vibes – it was ALL THAT! If like me, you prefer day “parties” on rooftop bars then this place is for you. 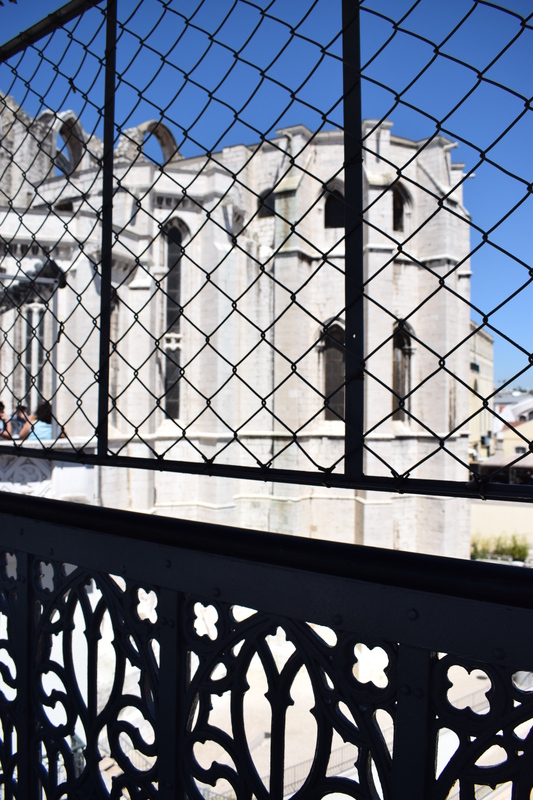 It’s a cool/hip rooftop bar situated on top of a car park giving you great views of Lisbon. I went with a few friends on a Friday evening and it was very busy especially outside on the terrace, however, it was less busy inside the bar itself. Nevertheless, we had GREAT weather, GREAT views, GREAT music and CHEAP drinks – couldn’t ask for anything more! 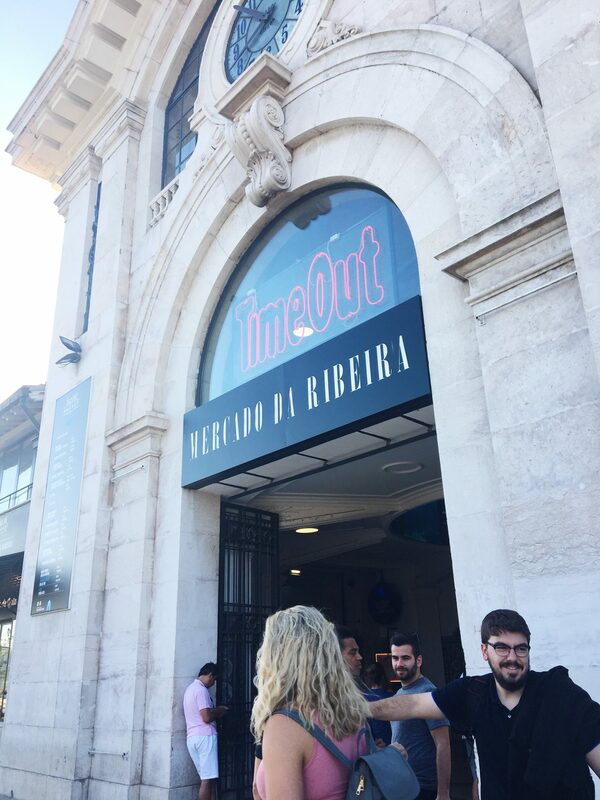 The Timeout Market, is a large indoor food market filled with Lisbon’s best street food vendors and restaurants. 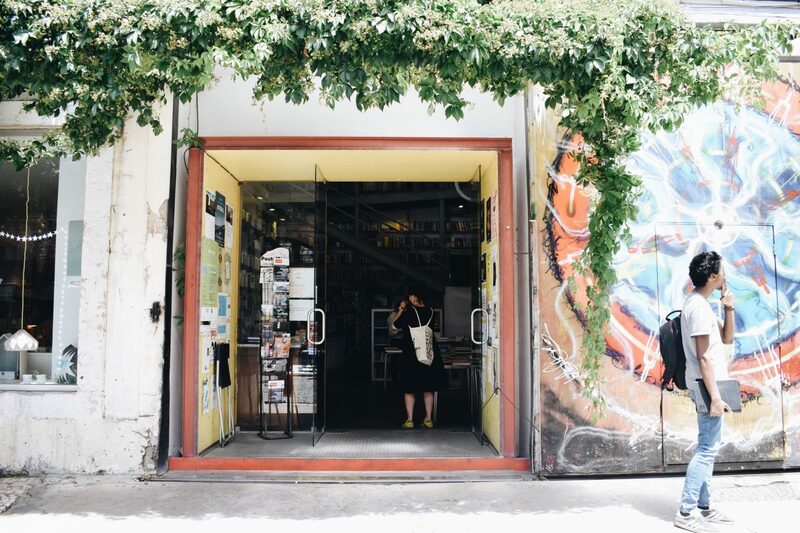 This is a perfect spot for foodies and picky eaters, the cuisine ranges from Portuguese to Chinese – there is something for everyone at the Timeout Market. I’ll be honest, I planned NOT to go to the Timeout Market as I thought it would be another tourist trap but I had great food here! Start off light with some traditional croquettes, move onto hearty Portuguese main maybe Caldo verde soup or a cheeky Francesinha? Just 15 minutes away from Lisbon and before the coastal town of Cascais, sits the popular beach Carcavelos. 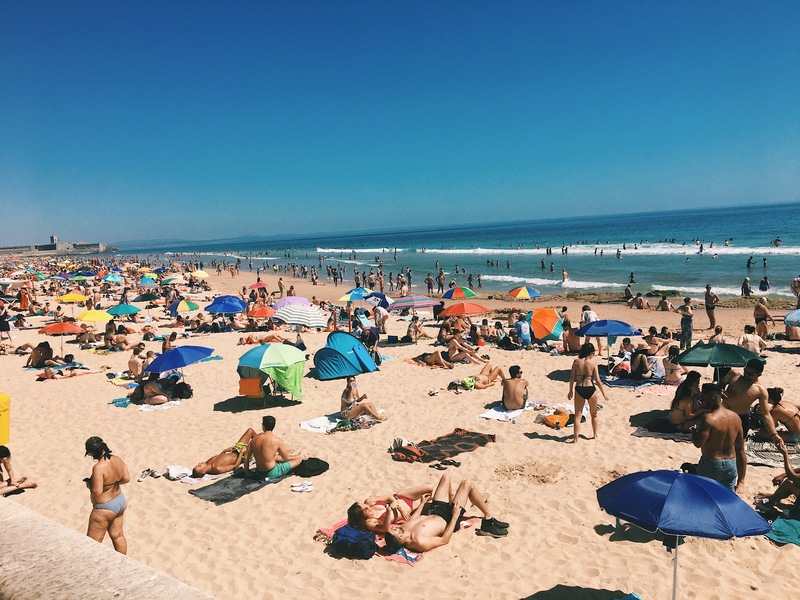 The beach can get very busy, especially during hot days due to its close proximity to Lisbon. I know many blogs recommend that you avoid this beach but I’ll have to disagree for many reasons! 1) It’s very convenient (only 15 minutes away from Lisbon) and let’s be honest when its 32 degrees you don’t want to be travelling far just to get a beach; 2) it’s the largest beach on the coastline; 3) there is always space, just maybe not the one you wanted. One thing I would advise is to get to Carcavelos earlier on in the day, when it is less busy! 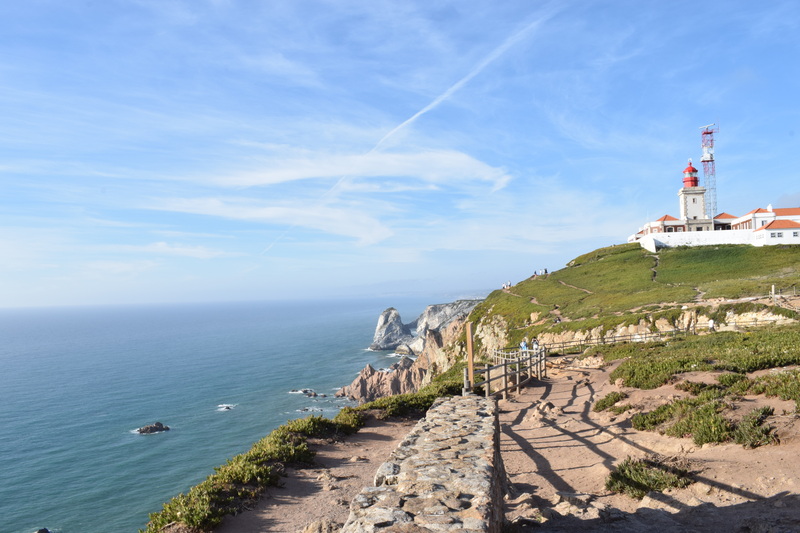 Praia da Adraga is another beautiful beach located near Sintra – the beach is covered with golden sands and stunning cliffs. It is less crowded than Carcavelos as it is further out from Lisbon and only accessible by car. This beach is definitely suitable for a nice stroll or walk with the dog. 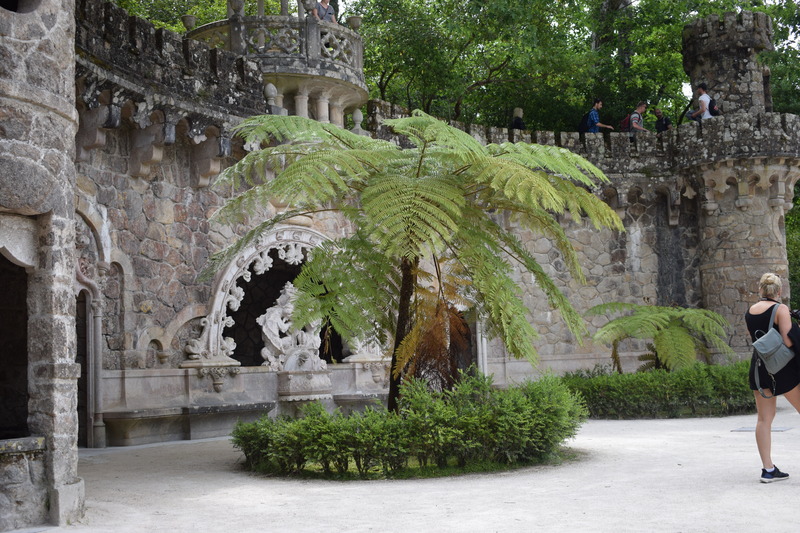 Quinta de Regaleira is a beautiful gothic-designed estate near the centre of Sintra. This estate is extremely huge and remind me of a “romantic” haunted mansion. The estate has a palace, beautiful lakes, caves, wells, benches and fountains – which I must say are picture worthy! 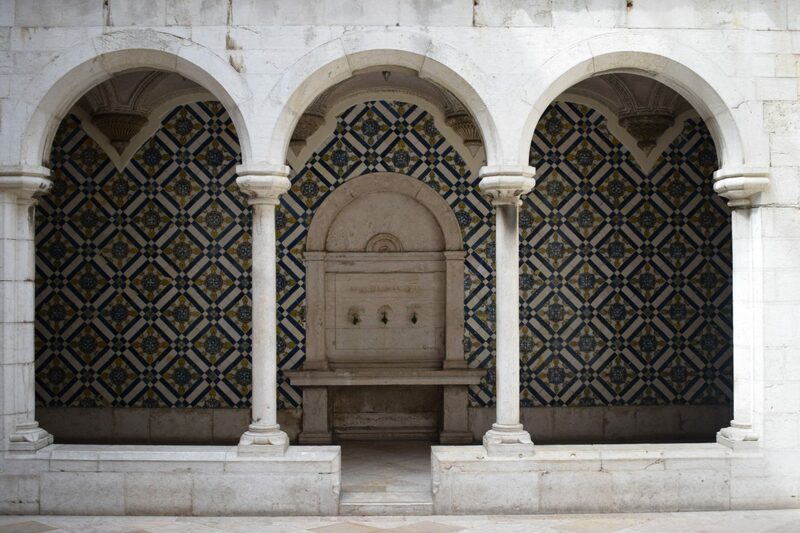 What are some of your favourite things to do in the city of Lisbon? 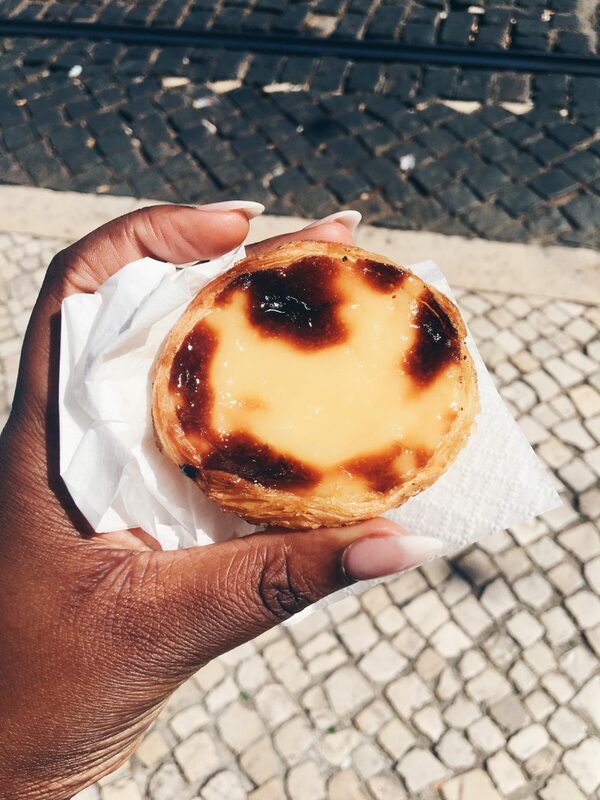 Do you think Pasteis de Belem is the best place to get custard tarts? 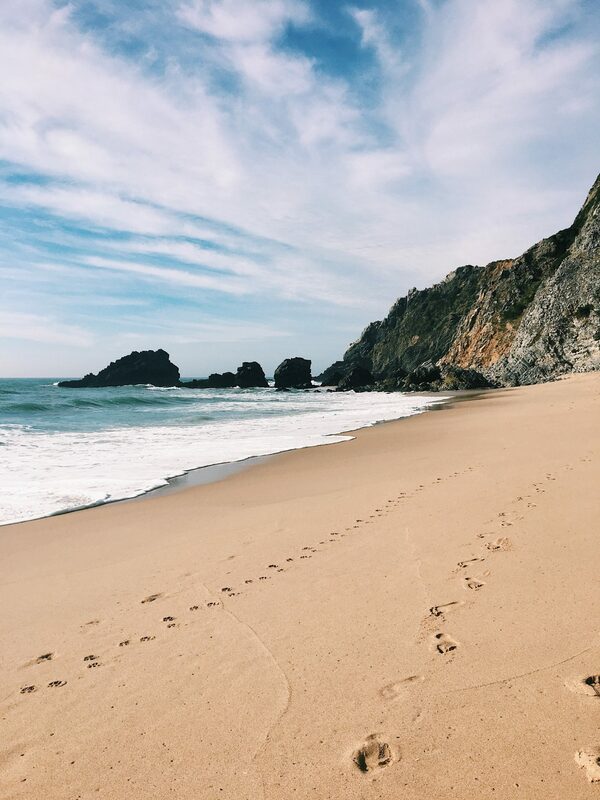 Do you prefer Carcavelos or another beach on the Cascais coastal region? Leave your comments below! You never fail to dazzle your audience with your in depth knowledge of the subject matter. Another expose on food and travel. Well done! Oh my gosh soo soo happy to see this post I am due to go Lisbon in a few month. I will be sure to return to know what things to do. Thank you for sharing!